A perfect day for some kite flying! 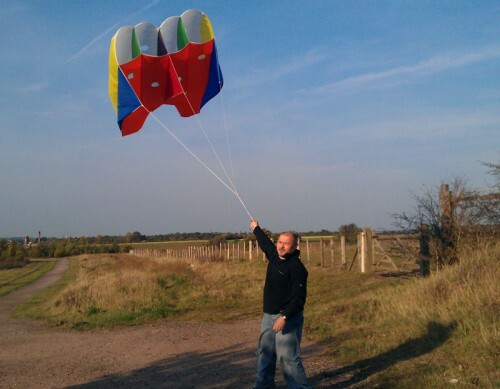 Warm october sunshine & a steady wind on a pleasant Sunday afternoon prompted Dave, M0TAZ to do some portable operating from Hornchurch Country Park using a long wire supported by a kite. We worked close on 50 stations from all around the UK & Europe. Operating equipment: Icom 7000 powered by a 65Ah leisure battery, RF around 60w, 80m Long wire antenna kite supported at ~60 metres.